Little Harsh there, dont ya think? Jail, huh? The ignorance of that statement makes me want to steal a coke. They are only loosing pennies anyway. More like 11¢. 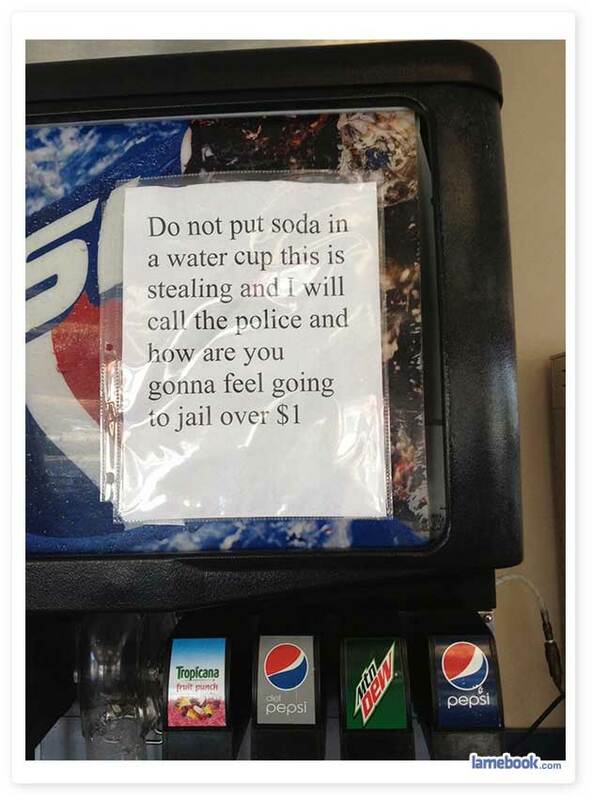 Those cups aren’t big, and soda is really cheap.